A journey of discovery that will take you to deeper, more intense and meaningful encounters with the Living God. What are the “3 Y’s”? They are keys to living a deeper more intentional and profoundly satisfying faith walk with God. The greatest adventure in life is growing in our knowledge and love for God — Father, Son, and Holy Spirit. This two-day retreat will inspire and challenge you to deeper faith and devotion and equip you to encourage others in the journey of spiritual formation … until Christ is fully formed in us. 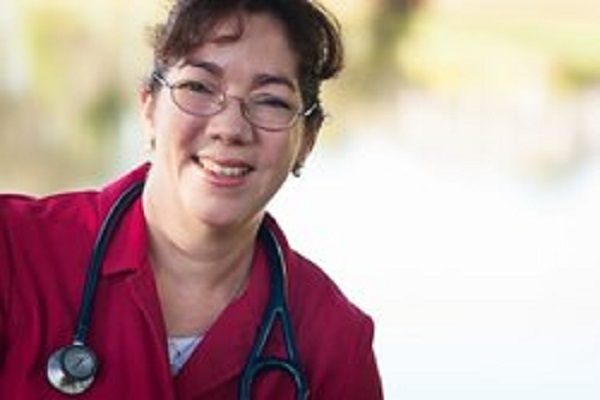 A family physician for over twenty years, Dr. Mari has been a leader in healthcare her entire career. She served as chief resident and received the AMA Leadership Award and the Distinguished Graduate Award from the U.S. Air Force, among others. Her passion for missions and service to the poor led her to help start Grace Medical Home, a Christ-centered clinic for the uninsured in central Florida. She is on the volunteer adjunct faculty at UCF College of Medicine and has served as clinical assistant professor at FSU College of Medicine. She helped start the Orlando chapter of the Christian Medical & Dental Associations in 2011 and serves on the Board of Directors of the Florida Academy of Family Physicians. Dr. Mari is an anointed speaker and retreat leader who has served on the faculty for the Institute of Christian Studies. Her first book, Walking with Jesus in Healthcare, has inspired healthcare professionals and caregivers as far as Kenya and Australia to stay close to God while caring for people. In this devotional and prayer journal, you will encounter Jesus through the eyes of the apostle Paul’s travel companion, Dr. Luke. Dr. Mari will introduce you to what she calls the 3 Y’s (Yes, Yield and Yearn) of faith, and delves into essentials for spiritual formation. This event will feed your soul, renew your mind, strengthen your spirit with God’s Word. Attendees will leave this event renewed. Come, Pray, Partner, Worship, Work, Join, Be Still, Learn, Grow, Serve, Share, GIve, Rest, Reflect, Renew. Something special happens when God's People gather on sacred ground!